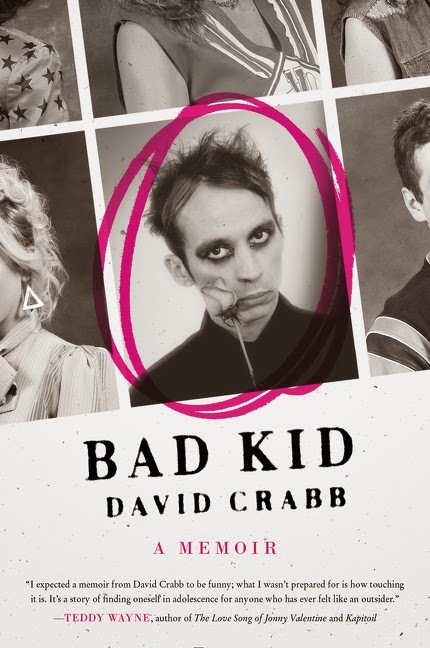 Anyone who has been an outsider, who has found it difficult to find even one person they could trust with their secrets, or who has felt like their adolescent struggle (no matter what it was) was unique should pick up David Crabb's Bad Kid. In an eye-opening look at growing up gay in conservative America during the late '80s/early '90s, Crabb tells his story of his gradual acceptance by a group of peers and his learning to accept himself. As anyone who's embarked on a similar journey can tell you--struggling to find who you really are and then figure out how to be comfortable with what you discover is a road full of curves, bumps, potholes, and... Uh... Pickles? Yes. He went there. Thanks to David Crabb, I will never look at a jar of kosher dills the same way again. In the summer of 1989, three Goth kids crossed a street in San Antonio. They had no idea that a deeply confused fourteen-year-old boy was watching. Their dyed hair, fishnets, and eyeliner were his first evidence of another world—a place he desperately wanted to go. He just had no idea how to get there. 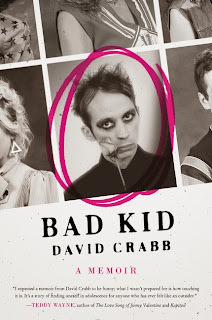 Somehow David Crabb had convinced himself that every guy preferred French-braiding his girlfriend’s hair to making out, and that the funny feelings he got watching Silver Spoons and Growing Pains had nothing to do with Ricky Schroeder or Kirk Cameron. But discovering George Michael’s Faith confirmed for David what every bully already knew: he was gay. Surviving high school, with its gym classes, locker rooms, and naked, glistening senior guys, would require impossible feats of denial. What saved him was finding a group of outlandish friends who reveled in being outsiders. David found himself enmeshed with misfits: wearing black, cutting class, staying out all night, drinking, tripping, chain-smoking, idolizing The Smiths, Pet Shop Boys, and Joy Division—and learning lessons about life and love along the way. While Bad Kid is at times both laugh-out-loud funny and heartbreaking, it is a truly compelling story from beginning to end.